Yesterday we got a set of cryptic tweet [ you can read them below the poster ] from the cast, and director, about an announcement regarding the 5th installment of the Mission:Impossible franchise. Now, we know what that news would be. The title of the film. 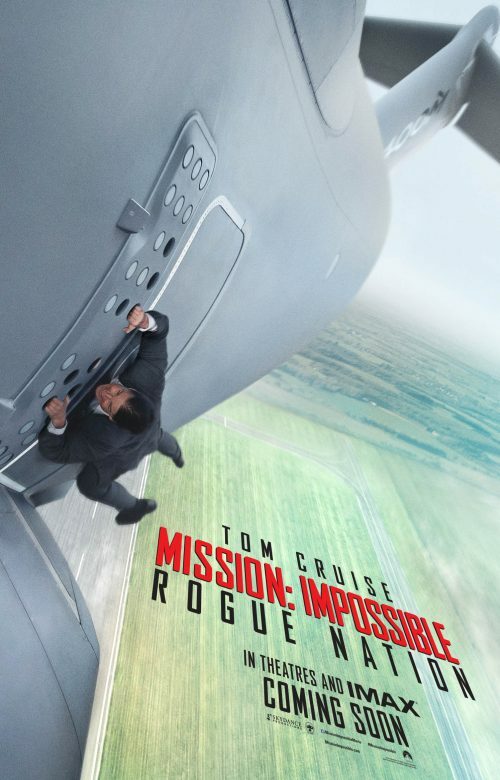 It’s going to be called Mission: Impossible – Rogue Nation. With that announcement, we’ve been sent the first trailer, well TV spot, for the film as well as the first poster. Both can be seen below as well as the official synopsis. The trailer has it all. Explosions, women in great dresses, stunts – the lot! It does look a great way to get the franchise back to its best after the lackluster performance of the last two installments. The tweets in question were… Now we know what they all now mean! The other piece of news is that the first, full length, trailer will be released tomorrow! The squad is back, big #MissionImpossible news drops tomorrow.